Natural Generation are a renewable energy company, based at Perranporth. The company installs and maintains wind turbines and solar panel developments, as well as other renewable energy projects. Natural Generation were one of the first to order superfast broadband as soon as it became available in Perranporth. Ivor explains: “We are an internet-hungry business. 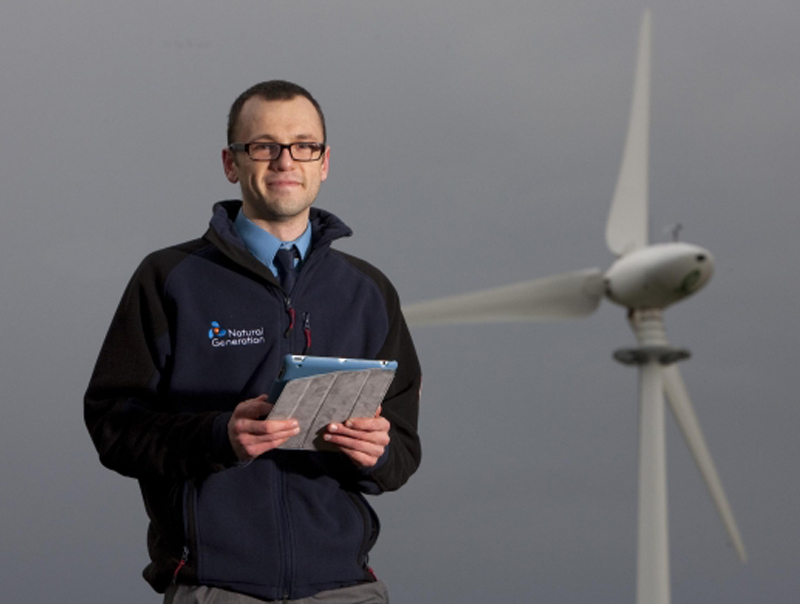 We maintain over 300 wind turbines across the UK. All are connected to the internet and we can monitor their performance online. If one breaks down, we can see it on the large screen in our office or online and we can usually sort out the problem remotely. In other words, high speed internet is vital to our core business operations and superfast broadband has been tremendous for us. “We now rely on superfast speeds of 80Mbps from our two superfast fibre broadband lines and this has made it easier for us to carry out desk top surveys via Google Earth as well as run our telephone systems through VOiP (Voice over Internet Protocol.) We have international clients and frequently talk to our clients in Germany and Canada. Since having our superfast business broadband connection, we can rely on excellent quality Skype, so we now routinely use video-conferencing in place of telephone calls, which helps us build good client relations at a distance. Ivor continues: “With superfast broadband, it is also straightforward to improve our website and add new features which will attract more web traffic. So we are uploading high definition video case studies and we are also putting a webcam on our roof, showing the beach as well as wind turbines in the area. The superfast broadband connection will enable a higher quality web cam experience for our online visitors.